GE (G.E.) 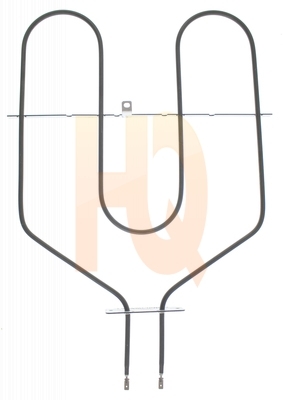 Genuine OEM WG02F05470 Range Oven Broil Element. This element is 12-3/4" wide x 16" long and has 4" inserts. This element is 3000 watts and 240 volts. The broil element is at the top of the oven and supplies the heat to broiling. This part works with the following brands: G.E., GE, General Electric, Westinghouse, Monogram, Café, Moffat, Profile, Sears, McClary, Hotpoint, & Kenmore.